Sedum makes an ideal plant in containers and troughs due to its ability to resist drought and heat, in fact preferring those conditions. Growing Sedum in sandy soil, among gravel or rocks or in fast draining containers is its favorite situation. 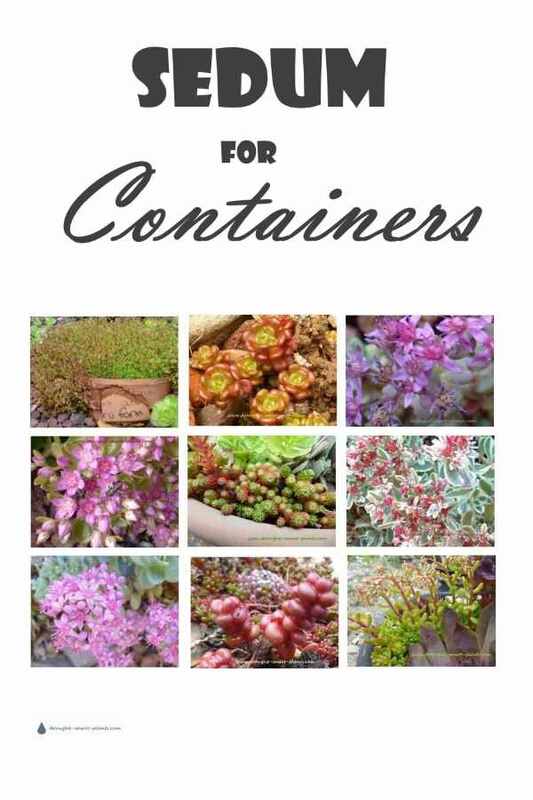 Here are some fabulous small scale choices for containers and trough plantings; they are also happy in root planters and strawberry pots either alone or in combination with Sempervivum or Jovibarba. To trail over the edge, choose those that tend to spread, and plant more upright types in the center of a large pot or planter. Some of my favorite planters are hypertufa pinch pots - the hardy succulents that I plant in them love the rough texture of the concrete and peat moss mixture. The textures of all these combine to make a tapestry or patchwork quilt effect. All species and varieties of Sedum require well drained soil with some added grit, or pumice, and prefer a stone or lava rock mulch around the crown. Water well, and then allow to dry almost completely between watering. Mound up the soil in the middle of your container and give them some height - many of these are extremely low to the ground - some are only a few centimeters tall. Flowers can be a lot taller, held up on stalks to offer themselves to passing pollinating insects. 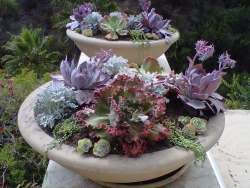 Grow one singly, in a group of similar species, or as spillers and fillers with other unrelated succulents. Click on the links below for more details about each plant. See more New Sedum here.